I’m addicted to podcasts. They’re short, to-the-point and easy to access, boiling the meat of the subject matter down to the average attention span. Karen Brody’s Daring to Rest podcast, where she interviews Dr. Christiane Northrup about her new book, Dodging Energy Vampires, is a must-listen-to-immediately broadcast. Especially for women. 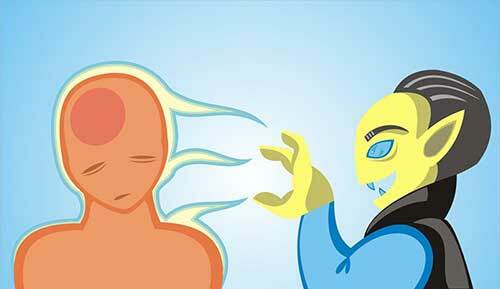 Energy vampires do precisely what their name implies. They siphon another person’s energy to use for themselves, leaving their target empty, exhausted and literally sick. They know what they’re doing, and they do it because it’s been proven to work in their favor time and time again. Dr. Northrup discusses new “mystery illnesses,” prevalent today, stating that 80 percent of women have chronic inflammation or some variation of an autoimmune disease. Inflammatory relationships can cause chronic inflammation of the mysterious sort. We have the power to change this by learning to protect the energetic field around us. Do you have an energy vampire in your life? Lynda Hatcher is author of the book, Mothering Addiction. Mothering Addiction: A parent’s story of heartache, healing, and keeping the door open – by Linda Harrison Hatcher. Lynda’s website. In Mothering Addiction, Lynda Harrison Hatcher tells a heart-wrenching story of her turbulent journey as the mother of a child who desperately struggled with heroin addiction–a story of the daily tests, constant trials, and unending tribulations of raising a son whose life has derailed by drugs.